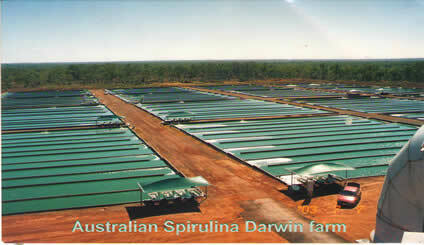 Grown in a pollution free environment and crystal clear mineral water of the Northern Territory, Australian Spirulina is the only Spirulina grown in Australasia (Australia & New Zealand). 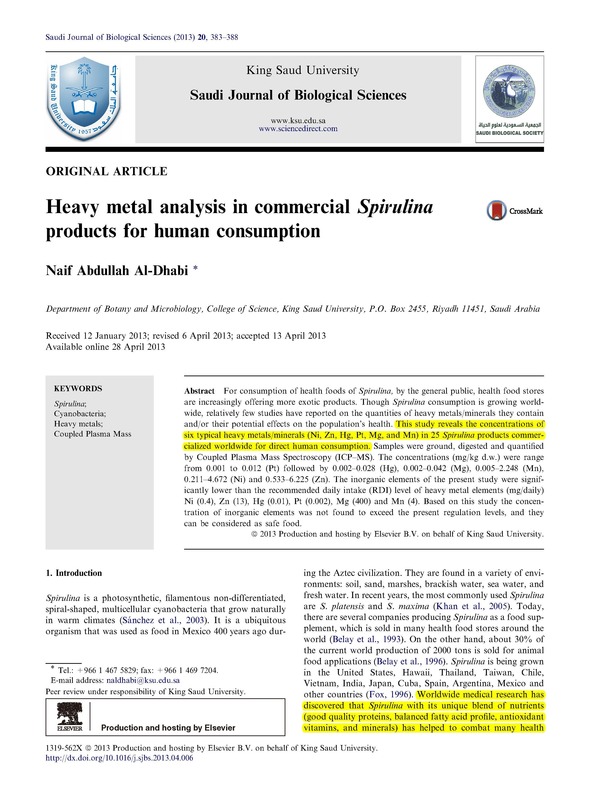 Australian Spirulina has the lowest bacteria and heavy metal content compared to US standards (pdf 70K). A recent article published in the Suadi Journal of Biological Sciences established Australian Spirulina as the most pure form of Spirulina on the international market (Al-Dhabi, 2013). 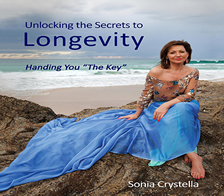 Using leading technology with our own unique & special spray drying method, we dry Spirulina in less than 10 seconds to retain the optimal amount of vitamins and enzymes. 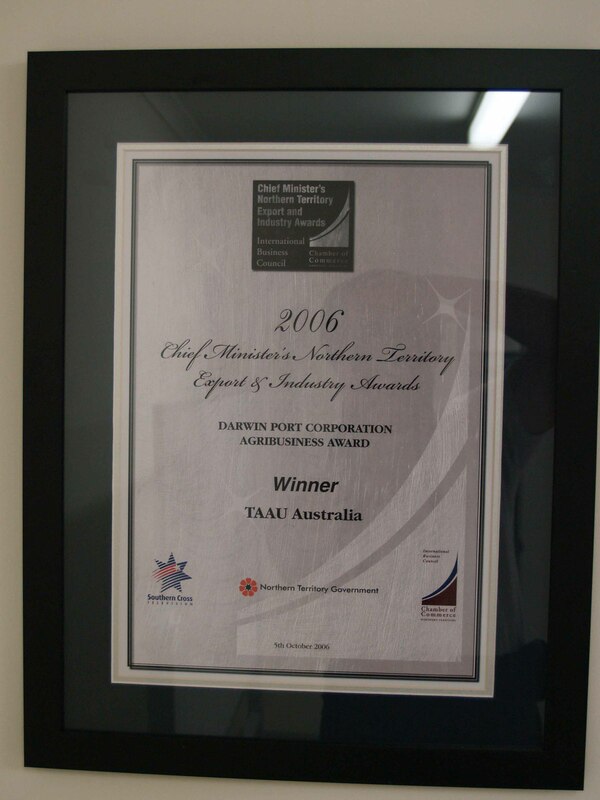 Unique to our tablet manufacturing system, Australian Spirulina is 100% pure without any binder or artificial additives. What you pay for is what you get! Unlike some companies who try to sell you imported Spirulina by passing it off as "Made in Australia" or "Australian Owned" after some repackaging, our company guarantees that all of the Spirulina you buy from us is 100% grown and produced right here in the Northern Territory! 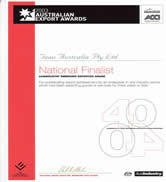 "Best Spirulina in the world"
Australian Spirulina, the world's the most pure Spirulina compared other 24 products around the world (inclusive of USA, UK, Canada, Japan, New Zealand, and India). 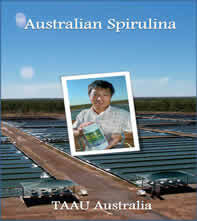 The result shows that Australian Spirulina (TAAU Australia) is superior to the rest in terms of purity. 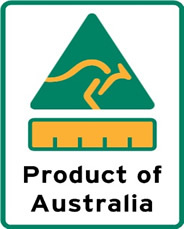 From 1 July 2018, businesses must comply with the Standard's country of origin labelling requirements. 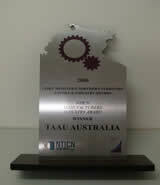 TAAU Australia's successful export story published on Austrade official website. 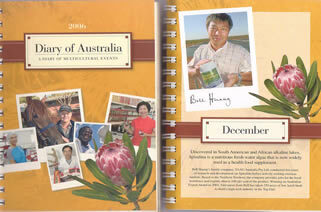 Company team leader Mr. Bell Huang and TAAU Australia's business success story published on the Australian Government printed “2006 Diary Of Australia – A Diary Of Multicultural Events”. TAAU Australia and company Team leader Bell Huang's Story been published on Northern Territory Government Quarterly publish magazine " Territory Q". Taking Spirulina from an unknown source or poor quality is an important health risk! Are you currently taking Spirulina? Are you aware of where your Spirulina comes from? China ? India ? 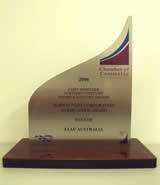 Thailand ? Did you know that taking low quality Spirulina may result in heavy metal deposits in your system? 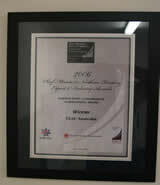 High volumes of heavy metals can cause serious health problems! Most brands of Spirulina do not mention their source, but just simply label their products Made in Australia or New Zealand even if their product used 100% imported ingredients. For peace of mind, ask your current Spirulina vendor to provide an official certificate of origin (for imported products). 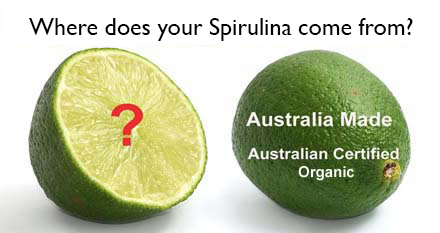 If they claim to be Australian or New Zealand grown Spirulina, then they should have a growing License. 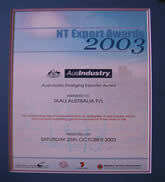 Australian Spirulina has been fighting fake “Australian Made" Spirulina products for more than 15 years. 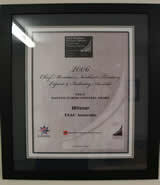 Unfortunately we still cannot change the way fake products are passed off as being authentic. 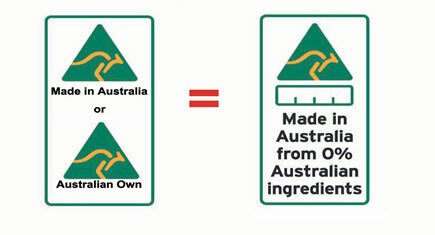 Australia has made a variation in 2016 in the Food Standards Australia and New Zealand Act 1991 regulating country of origin labels. However this has little effect within the industry as many companies argue their Spirulina is not a "food" product and do not need to comply with the new labelling law. 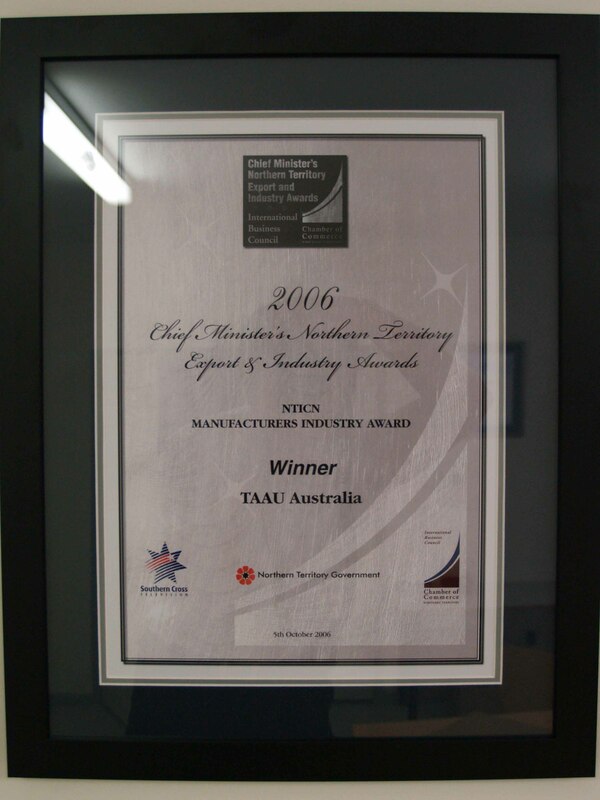 Please support real Aussie Grown products (not 100% imported but still claimed as Australian Made ).